Imagine if you could afford new luxuries every month. We’re talking trips to exotic destinations, extravagant shopping sprees, meals in Michelin-star restaurants, sky dives and other adventures on your bucket list. Well, lucky for you, that fantasy could become a reality thanks to a new annuity National Lottery game starting next month. It’s called Set for Life, and we’ve got the answers to 3 very important questions you’re no doubt going to be asking about it. What is Set for Life? Organised by the National Lottery, Set for Life will be the first annuity lottery game offered in the UK. It will give you the chance to win £10,000 every month for 30 years, as opposed to a single one-off sum of £3.6 million. 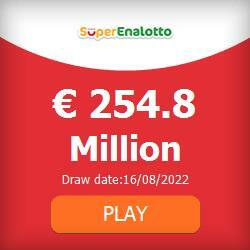 After the success of annuity lotto games in places like the USA, great things are expected from Set for Life. It’s going to attract millions of UK players seeking long term rewards rather than one big jackpot that – if you’re not careful – could be easily squandered in just a few years. How do you play Set for Life? Just like the EuroMillions and Lotto, Set for Life will be a draw game. You’ll need to pick five main numbers from 1 to 47, plus one ‘Life Ball’ number from 1 to 10. If you’re five main numbers and Life Ball number are drawn, you’ll be set for life with £10,000 every month for 30 years. The game will be run every Monday and Thursday, starting on Monday 18th March. You can buy tickets into the first draw online or at any National Lottery seller from Friday 15th March. Entry will set you back just £1.50 per line. Probably the most important question you’ll ask about any lottery game is what are your chances of scoping that life-changing cash prize? The good news about Set for Life is that it boasts more favourable odds than the EuroMillions. You’ve got a one in 15.3 million chance of winning £10,000 every month for 30 years. And with other prizes available for matching just two or more main numbers, you’ve got a 1 in 12 chance of winning something – even if it’s just £5. So if you’re feeling lucky, it’s worth queuing for a ticket for that first draw on Monday 18th March. Fingers crossed it’ll set you for the rest of your life.